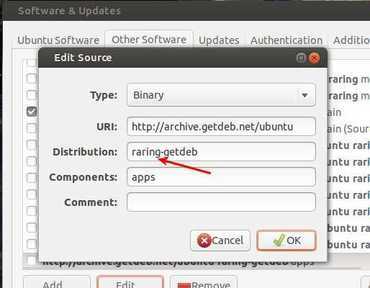 This tutorial shows how to install the latest TV browser on Ubuntu 13.04, 12.10, 12.04 and Linux Mint 13, 14, 15 via getdeb repository. TV-Browser 3.3.1 has been released with a better mouse action support. Now it will be possible to add more mouse actions to get quick access to needed functions. The new release also has a lot of bug fixes. See more. 1.) Click the below link to download getdeb package, then double-click to install. It adds GetDeb repository to your system. 3.) Update package lists and install TV browser via below command in terminal (Ctrl+Alt+T). Or using Synaptic.